The “Giro della Sicilia” is a sporting event organized by the GS Mediterraneo under the association of the Italian Cycling Federation. The 2018 edition envisages 5 stages that will take place during the 27th April – 3rd May 2018. The goal of the tour is to allow people to discover Sicily’s naturalistic areas of life with its agro-food products and craftsmanship, and at the same time ensure participants the competitive edge through safe uphill cycling. The invitation to Sicilian cyclists is to participate in the event and collaborate for good success. On Sunday 22 October at the Pollina Resort – Aeroviaggi, there will be a presentation of the hotel involved in the event. Participants will be able to take part in a ride that will simulate the first stage of the Giro Della Sicilia 2018. Our Tour Operator Sicicla is proud to be the supporter of the event and is available for info, package bookings and staging subscriptions. 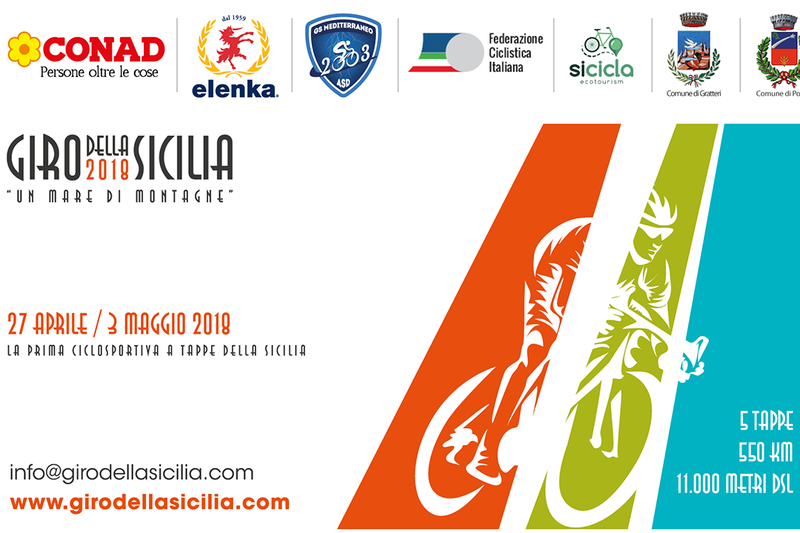 For more info, please visit the site “Il Giro della Sicilia 2018”.